Though it doesn't appear so at first glance, this month's Glossybox is the first box that includes all the tools one needs to create a full makeup look! Believe me, a simple liner and blush can go a long way -- the nail appliqués and hair oil are just extras! Once again, I felt challenged and empowered to design a full makeup look using only a few products, just like I did as a 90's kid. Designed to be used on any part of the body or section of the skin, this soft-yet-precise pencil is the champion of liners! Cat eyes, smokey eyes, vamp lips, body art and temporary tattoos are nothing but a breeze with this skillful tool. Is there anything this pencil can't do? Nope! These nail appliques are made of 100% real nail polish including base, color and top coat; and last up to 14 days. 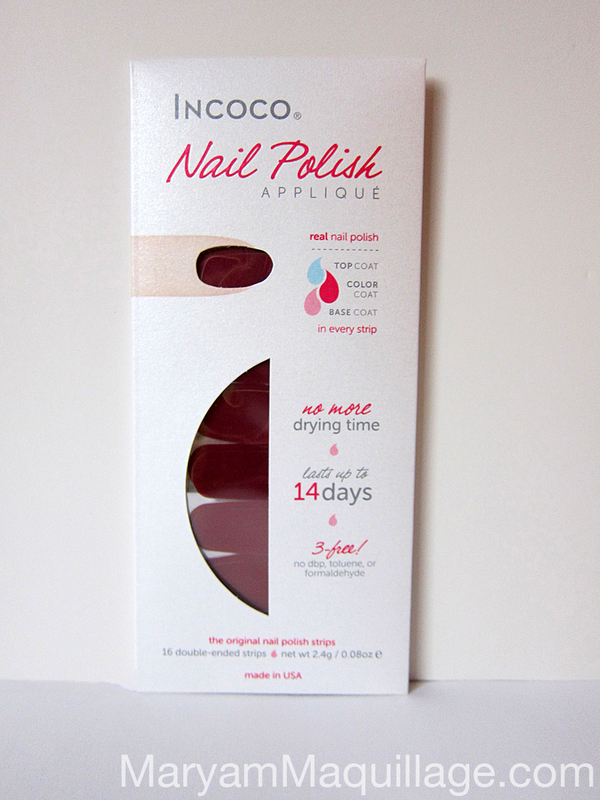 With Incoco nail polish strips -- smears, streaks and drying time are a thing of the past. The only down-side is the application learning curve. As a nail artist, I can't see myself using these (I am faster at painting), but the color is gorgeous and perfect for the holidays, as well as for today's transformation! This semi-transparent cream powder can be used on the cheeks and eyes to create a vivid pop of color using the lightest swipe! 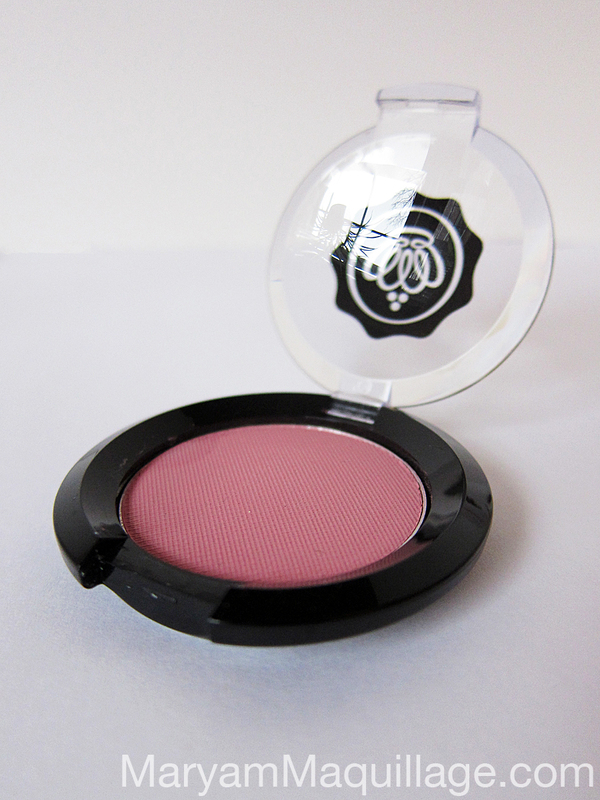 The color is flattering, versatile and great for any skin tone. What can I say? Yet another fab Kryolan & Glossybox collaboration! A perfect complement to any hair regimen, this Argan Oil is rich in Vitamin E and other beneficial fatty acids. The formula is non-greasy and penetrates instantly to deliver high shine and gloss to even the most damaged hair. 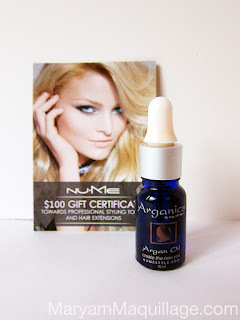 A Glossy Bonus: $100 gift certificate to NuMeProducts.com towards professional styling tools and hair extensions. 'Tis the season to be Glossy and I'm feeling like giving... hint hint :)) Message me if you get my drift! 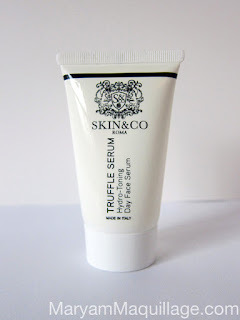 I've been waiting for a Glossy skin superstar since May's edition of my favorite Amore Pacific hydragel and this month brought it home with a new hit and my instant favorite: Skin & Co Truffle Serum. This incredible anti-aging Italian serum is infused with peptides and pure extracts of Tuber Melanosporum and Hyaluronic Acid to balance, moisturize and revitalize the skin. 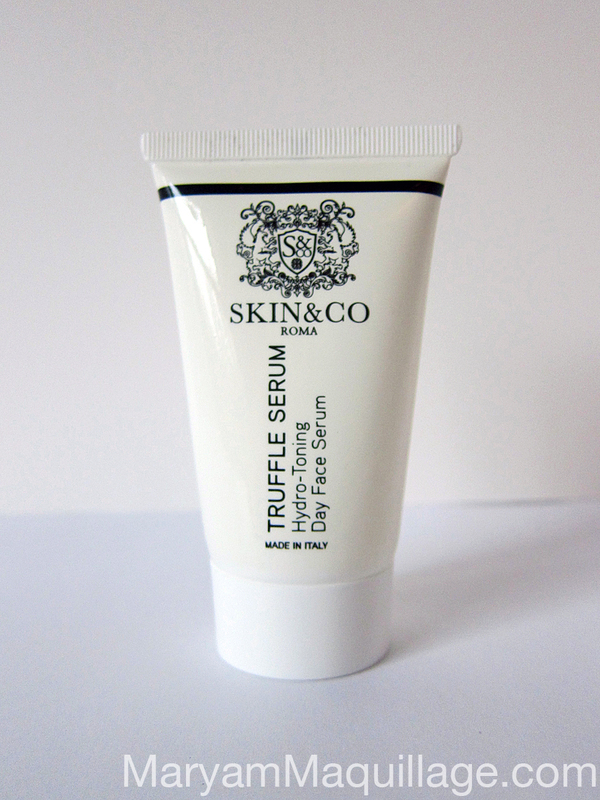 Applying it daily at night results in a dewy, fresh complexion in the morning and I am positively obsessed! Line the lips using Illamasqua Medium Pencil in Honour and fill in the corners. Smudge the line towards the center of the lips using a pencil brush or your pinky. 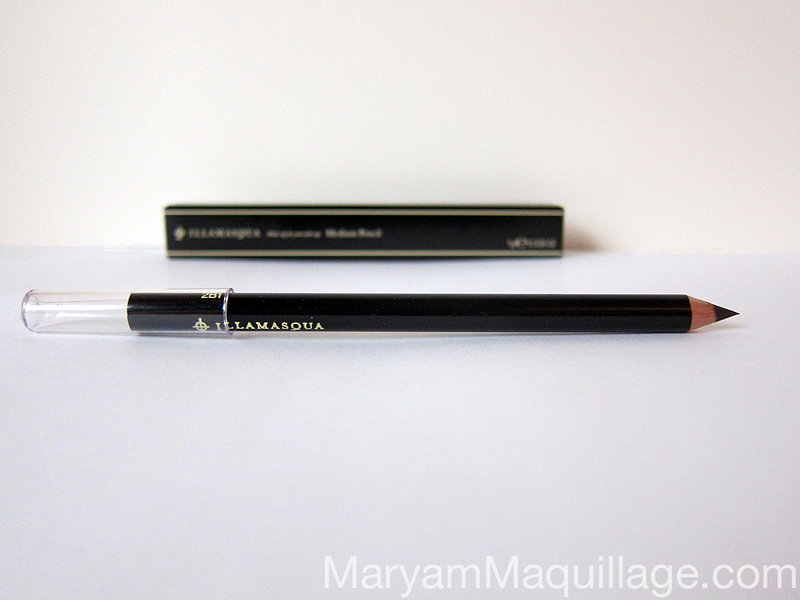 Illamasqua's medium pencil smudges like a dream and is perfect for creating ombré lips. Apply Glossy Rosewood blusher by Kryolan for Glossybox to the center of the lips to seal in the liner and add a touch of color. 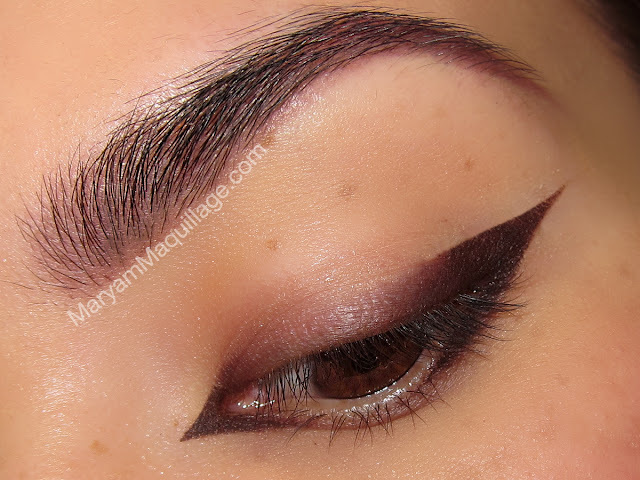 Outline the outer corner of the lid and extend the wing to create a sharp edge. Outline the inner corner using the same technique. 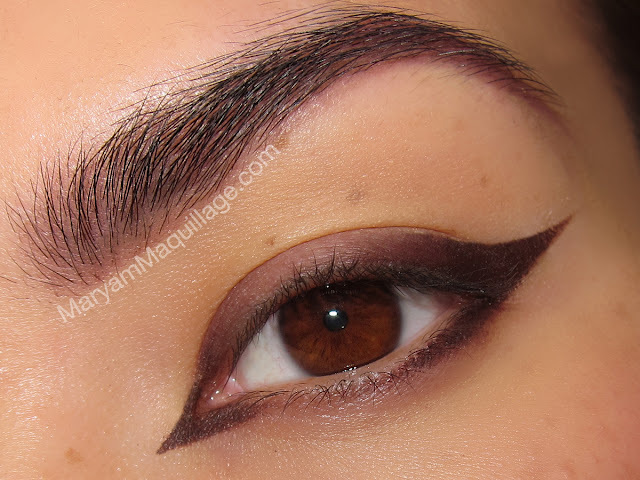 Smudge the liner towards the center of the lid using your pinky or a pencil brush. Repeat on the lower lash line using the same technique. November's Glossybox left me nostalgic and pensive, reminiscing about the days I spent obsessing over vampire slayers, witchcraft and the darker side of beauty. There's something very haunting yet intriguing about 90's style monochromatic color scheme and brown makeup and though it is a thing of the past, I find it endearing and refreshing in 2012. Hey, I'm a 90's kid and I'll be that till I'm 90. Who's with me? Love the Ombré Lips! The color looks great! Love this review and what a great box! There's not one product in there that I wouldn't love to try! Your so cute. Damn i love your skin. OMG GORGEOUS!!! LOVE THE LIPS!!! LOVE this look! Such a different take from the vampy looks around now. Nice post. I love your makeup!!! Sassy!! Really love the contouring on the cheeks & the lips look so beautiful! Great job! As always, amazing Maryam!!! The bold cat eye is to die for and I really like how you revamped the classic 90's lined lips, you really took them to a whole new level, just fantastic. I didn't get the Incoco!!! you look amazing, boo. love it. Thanks boobie :)) hehe... what did u get instead? oh wait, let me go check! This post is just perfect. The fact that it actually talks about Glossybox (something I wholeheartedly despise) makes it even more perfect, since you convinced me to like something that's usually on my no-go list. Girl, you're so beautiful, it's not even funny anymore. Amazing job on both the eyes and the lips! Can't wait to get my Glossybox in that mail now. i have to try out this eye liner-technique! I love the lips!!!! I screwed around with a lot of makeup in the 90's and I am officially afraid of brown lipsticks! ARGH! I hope they do not come back!! When I saw just the small pic of only the lips, I was iffy about it, but with the complete look, it's creepily stunning!!! Wow I'm totally surprised. This looks perfect!! The liner, the lips.. Wow! Also love the nail patches, they look so perfect on your nails!